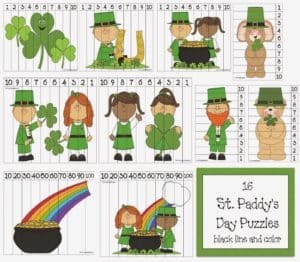 The packet includes 15 black and white 100 Day puzzles for students to color. There are 5 different designs to choose from. Each design has a puzzle for the 3 different ways to count. There are vertical as well as horizontal puzzles. Students color, cut, mix up the pieces and then put their puzzle back together. 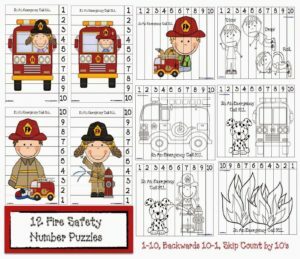 I’ve included picture-less numbered grids, which little ones can place their pieces on. You can also run these blank masters off, and have children draw their own 100 Day puzzle. 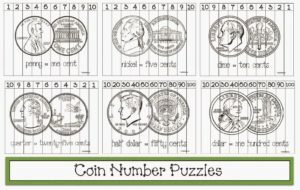 Click on the link for the black and white 100 Day Number Puzzle packet.